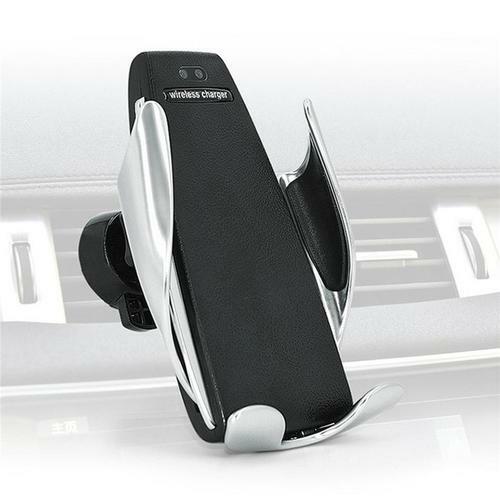 This amazing car-charger easily mounts to your dash and looks stylish and trendy. Are you an on-the-go type of person? Do you find that your cellphone is always in need of a charge during the most inconvenient times? Our car-mounted charger lets you quickly charge your phone from your vehicle, hands-free. And get this, your phone remains completely functional during the process! As soon as you hop into your car, place your phone onto the easy-to-install mount and your phone will be fully charged before you reach the end of your driveway. OK, maybe not that quickly, but the phone DOES charge at lighting speed. The device comes with both vent and dash attachments so you can personal how the mount works best for you.